The very popular WinRAR compress any file or folder offering the possibility to protect or to recover them in case of necessity. 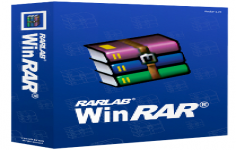 WinRAR is a reference in the field of archiving data compression utilities. Based on RAR compression algorithm, it can significantly reduce the size of the documents. WinRAR is very useful when it comes to open its archives in case the user does not have this software because it can create self-extracting archives. WinRAR integrates with Windows Explorer and allows to compress and decompress files from the context menu. For mainstream users, this feature may be sufficient, but WinRAR also includes more advanced features such as protection of archives by creating recovery volumes possibilities, adding passwords, test archived files or a module for benchmarking test performance by compressing the computer. The encryption uses the AES (Advanced Encryption Standard ) method with a key of 128 bits. The application is also able to repair a damaged archive when a network transfer was not completed correctly or the storage medium is faulty. 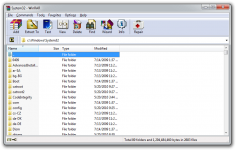 But the program is not limited to RAR and ZIP formats because it allows you to view and extract the contents of archives using less common formats such as ACE , 7 -ZIP , CAB , TAR , ISO, GZIP and BZ2 by instance.